Continuing our discussion from last week, restaurateurs are responding to uncertainty about mandatory tip pools in a variety of ways. One response is to get rid of tips all together and move over to service charges. Federal law defines service charges as a compulsory charge for service. 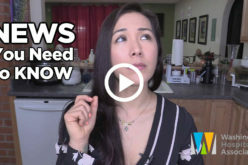 Among the restaurants that have taken this step are Seattle’s largest group of upscale eateries, the Tom Douglas Restaurants, which replaced gratuities with a 20 percent service charge, in 2016, following the institution of a higher minimum wage in Seattle. The company sees advantages for the servers under this model. Another upscale restaurant group that switched from tipping to service charges, in 2016, was Seattle’s Sea Creatures group. There was also something else that sweetened the pie. Before making a change in tipping or tip pool practices, it is wise to get legal advice to confirm that the approach and communication strategies you are adopting will pass legal muster. Service charges are not subject to the income tax credit available for tips (for all FICA payments made on tips employee earned and reported above the tips needed to meet the tip credit). Initiative 1433, passed in 2016, expressly states that service charges (or tips) paid to an employee are in addition to, and may not count towards, the employee’s hourly minimum wage requirement. Service charges are subject to sales taxes and B&O taxes. To help avoid potential employee claims, such as unpaid wages, breach of contract (express or implied), or unjust enrichment, employers should consider advising employees in writing as to whether and to what extent service charges are paid to employees, and to obtain written acknowledgment regarding the same. 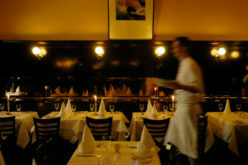 Under Washington state law, employers who impose a service charge “related to food, beverages, entertainment, or porterage provided to a customer” must disclose, in an itemized receipt and in any menu provided to the customer the percent of the service charge that is payable directly to the employee or employees serving the customer. The Washington State Attorney General has issued guidelines on service charges suggesting disclosure on websites (in addition to menus and itemized receipt) and to avoid misleading the public as to how much employees receive. Service charges are an employer’s property to do with as it deems, except for any percentage the employer has disclosed is directly payable to the employee or employee servicing the customer. Under I-1433, employers must pay all service charges to employees except those that are itemized as not being payable to the employee or employee servicing the customer. Before making a change in employee compensation practices, it is wise to get legal advice to confirm that the approach and communication strategies you are adopting will pass legal muster. 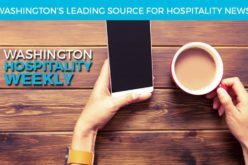 Stay tuned for more Eye on Hospitality articles on tipping alternatives.